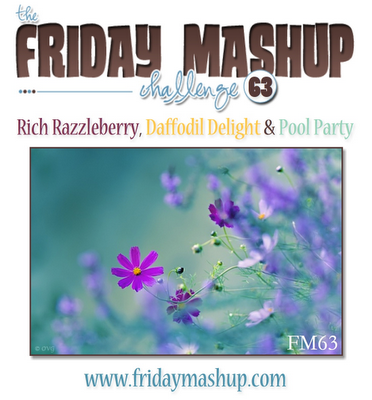 Howdy howdy :) Time for another Friday Mashup and this week our challenge is from Tara and its her first challenge with us as a new design team member! Make sure you head over to the Friday Mashup blog to play along and welcome Tara to the team! Make a project using the " Paper Piecing " technique. Or Make a project using " Rich Razzleberry, Daffodil Delight & Pool Party ". Or "Mash it Up" and create a " Paper Piecing Project using the above colors." Great way to sneak some Rich Razzleberry in on the dresses! Oh those little polka dot dresses are sooo sweet! Those little girls are oh-so-fancy ;) Kinda wish I had a Razzleberry polka dot dress. Fantastic card, Lisa! What an adorable image and your paper pieced dresses are so precious! Such a beautiful card Lisa! I love your paper pieced dresses on Razzleberry! It makes them pop up ! Great job! This came out so adorable.. I love the image and great use of the challenge colors.